Look Up Tables (LUTs) have historically been used in the film industry to set color tone. 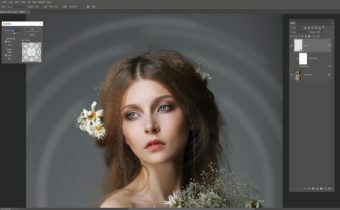 They can also be applied to images in Photoshop from version CS6 onwards, where there is an option in the Adjustments Layer Menu for ‘Color Lookup’. The Color Lookup option contains a number of presets. The presets differ from Actions (atn files) in that they perform a one click change that alters the color of an image in correspondence to the tonal range of the LUT. The colors form the original image are remapped to an alternate range of colors. 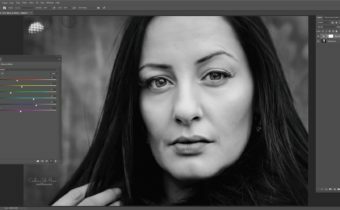 Here you will learn how to apply LUTs and how you can save your own LUTs as presets. Note that you can only save LUTs if you have Photoshop CC 2014 or above. Thank You Julia fofr taaking me another step forward. I have been using LUTs for awhile, but did not know how to create them, thanks for this Caroline, it’s great! Thank you for the marvelous tutorial! So pleased Su. They are really useful. I use them in all my work now! Thank you Caroline for an excellent tutorial. Like others who commented here, I occasionally use LUT’s but had not considered making my own. Thank you Caroline, as always great information. “Could not parse the 3D LUT because of a problem using the Adobe Color Engine”. Would you know what I could try to fix my problem or should I contact Adobe? Hi Caroline and everyone else who is interested. I worked out my problem. I left the quality on MAXIMUM (256 colours) when exporting my file. I changed the quality to HIGH (64 colours). It is working fine now. Superb tutorial as always Caroline. Thank you. This is great to know! It seems like this would be a great way to get consistency for a ton of images shot in the same lighting conditions, such as a wedding reception. I do believe this will save me a TON of time from here on out! Thank you Caroline this info is great, I always struggle with colour consistency in a set of images so this is going to help lots. 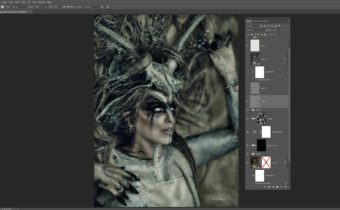 Judith, when you add a Color Lookup adjustment layer, it should be creating a new layer just like any other adjustment layer. I think you may be adding the adjustment through the options bar at the top of Photoshop. Make sure you add the adjustment using the split circle icon right below your layer stack. Also, I’m not even sure what Device and Abstract are used for. I think the main thing to notice is the 3DLUT files, which includes built in files and allows you to import new ones. Hope this helps!